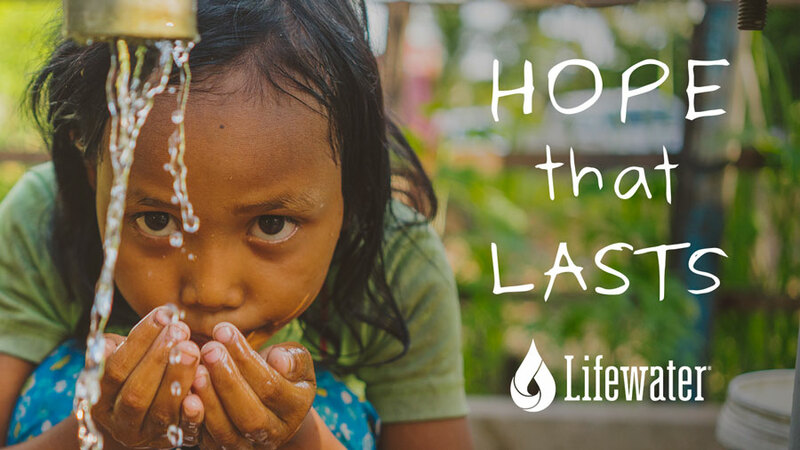 Clean water and the hope of the Gospel go hand in hand everywhere we serve. 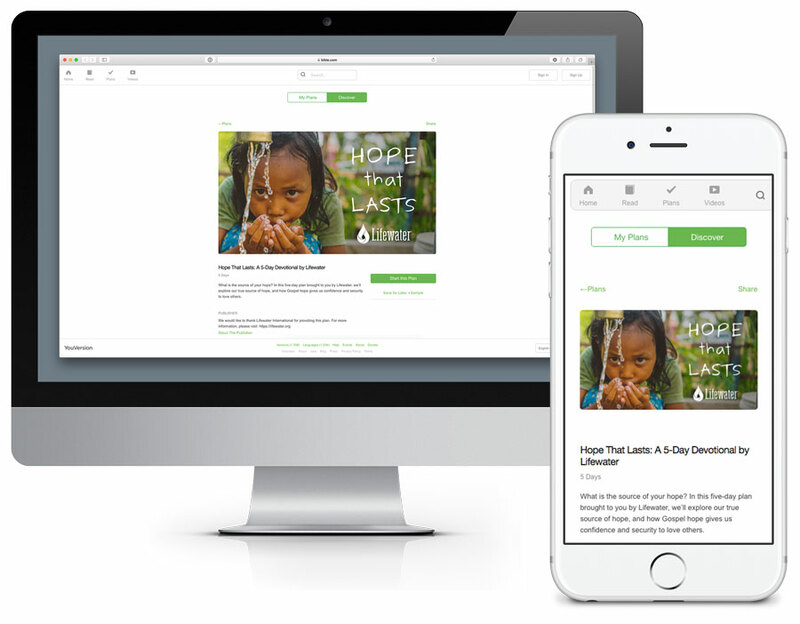 Our new devotional on hope launched on the YouVersion Bible app this month explores the message of hope in Scripture and is a fresh way for you to connect the hope we have in Christ with our shared mission to bring clean water to a thirsty world. YouVersion is a Christian ministry that exists to help people all over the world more easily engage with the Bible. Their Bible App has already been installed on more than 315 million smartphones, tablets, and other devices. More than 1,700 Bible versions are available in more than 1,100 languages. There is even a Bible app for kids. In our five-day devotional called Hope That Lasts, we highlight stories that will encourage you in your journey to be filled with love and hope. We walk with characters like Nathaniel, Nicodemus, and Martha as we ask how faith, hope, and love manifest in our lives. Each devotional contains Biblical stories along with related stories from those you have helped love and serve in Africa and Asia. Our prayer is that it will be of encouragement to you. In older versions of the Bible, like the King James Version, the word for “love” was “charity”. By definition, charity is to be generous or helpful, particularly to those in need. Faith, on the other hand, means to trust and believe in something. And hope means to expect or desire something. Faith and hope are ways of believing, thinking, and feeling. Love is a way of being. Faith and hope are more of a state of mind. Love, or charity is an action. Faith and hope are personal, and love can be directed toward our neighbors as well. Faith and hope are human qualities, and love is divine – God is love. While Paul does not explicitly say why love is the greatest, it is likely because love is the manifestation of faith and hope. Love is faith expressed. Love is hope activated. If love is faith expressed and hope activated, and if charity means to express our faith through action to those in need, to whom should this love flow? To read more, get the devotional on the Bible app today. Thank you for partnering with us as we express our faith, activate our hope, and make our love manifest by bringing clean water, sanitation, and hygiene to the most vulnerable people in the world.